Posted on May 25, 2015	by Gill Phillips - Whose Shoes? Posted on May 4, 2015	by Gill Phillips - Whose Shoes? 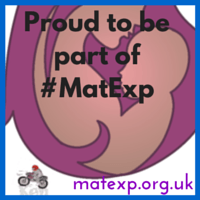 #MatExp on #NHSChangeDay – working together to improve maternity care! Posted on March 11, 2015	by Gill Phillips - Whose Shoes? Posted on January 19, 2015	by Gill Phillips - Whose Shoes? Posted on November 17, 2014	by Gill Phillips - Whose Shoes? Posted on August 25, 2014	by Gill Phillips - Whose Shoes?